What causes aging is becoming less of a mystery according to scientists and leading longevity health experts. As it turns out, it looks like we all pretty much age from the same thing, although there are infinite variations this process. All humans age from a combination of changes in our DNA structure, decreasing telomere length and calcification! Telomere biology is a relatively new science, but holds a promising future for advancements in the field of life extension. Telomeres are the ends of chromosomes that cap our DNA strands and break on cell division. Remarkably, they are one aspect of the DNA that does not self replicate. They get shorter and shorter as we get older. They are like protective sheaths for our DNA, so that the DNA itself does not get damaged on division. When they are gone, errors start to creep in on cell division. The length of the telomere and the functional health of telomere dictates how many times it can reproduce. Your telomeres must remain long to maintain optimal biological age, whereby you look and feel more youthful than your chronological age (based on your birth date). Scientists have discovered a healthy number of telomeres to be #1 key to a long, happy life. According to the research of Dr. Dave Woynarowski, who has dedicated his life and medical career to helping people look and feel healthier and younger, there are basically three causes of aging in the human body. 1) Oxidation - the body over time begins to oxidize, essentially "rusting" like a nail when exposed to oxygen. This is gradual process as we age, destroying telomere length directly as we become more susceptible to free radical damage. 2) Glycation - creates a stickiness in the cell structure, making it harder for the cells to work properly. This has a domino effect on the surrounding cells. 3) Less Methylation - methylation is an on/off switch for our genetic material, turning on tumor suppressor genes and helping to inhibit the forming of cancer cells. A high quality diet rich in foods that promote methylation is key, along with adequate exercise and sleep. It has been discovered in recent scientific analysis that the cause of aging is basically the same for everyone to some degree. 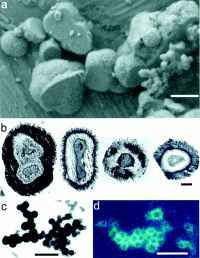 A bacteria known as "nanobacteria" is a calcium forming organism that produces calcium phosphate shells, similar to coral. These shells attach themselves and grow, over time, in our joints and reek havoc in the older years of life. They cause joint pain and most likely a host of many other diseases as toxins that get caught up and locked into these hard shelled deposits. So, what causes aging?... basically, we are being turned into stone! Discovered by Finnish scientists in 1998, these bacteria are apatite crystals and have been shown to cause inflammation when injected into joints. All malignant diseases involve this calcification of tissues and many experts are concluding nanobacteria's role in inhibiting life-force and health in the human system. 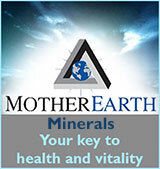 The cause of calcification involves a variety of components, but first and foremost it is the kind of diet and nutrition that is provided throughout one's life. Our anti aging formula is designed to help you with preventing and dissolving nanobacteria, and calcium shell formations you have acquired throughout your life. 1) Overeating - causes a back up of undigested wastes and protein that effect colon health. 2) Stimulants - like coffee and other drugs cause acidic conditions and deplete the body and make it vulnerable over time to attack. 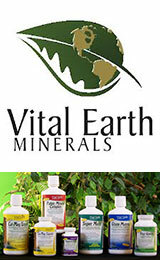 3) Low quality diet - causes deficiency of minerals and host of side effects as one ages. 4) Decrease in enzymes levels - low enzymes causing mal-absorption of nutrients. 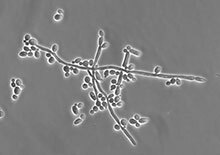 5) Excess of unfriendly flora - like candida, in the colon and tissues of the body feed calcification. 6) Lowered immune system function - from any of the above, making one vulnerable to free radical damage and host of other diseases. 7) Dehydration - from eating cooked and processed foods. "Increasing evidence has shown that stressful situations could take a toll upon a person's body such as by compromising the immune system or elevating blood pressure. Scientific data has now revealed that extended exposure to psychological stress could speed up the aging process of a person's cells and cause them to die at a faster rate than normal. Researchers discovered that protein-DNA complexes known as telomeres acted as the timekeeper communicating to the cells how long they would live. 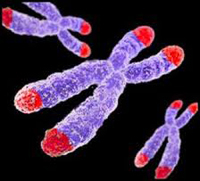 Telomeres are the caps at the end of chromosomes that are responsible for promoting genetic stability. They could be compared to the plastic tips that protect shoelaces. Each time a cell divides the telomeres becomes shorter. As part of the natural aging process, the caps begin to dwindle away to tiny nubs causing the cells to stop dividing and eventually die." Our degree of physical fitness effects our health on many levels. Staying physically active with a daily exercise program is recommended for anyone wanting to stay youthful and fit. When we don't exercise our muscles by using them on a regular basis, they become limp and weak. As they say, "if you don't use it, you loose it." In addition, high levels of stress make our body acidic and feed what causes aging. Exercise is a wonderful way to decrease tension and stress in one's life! 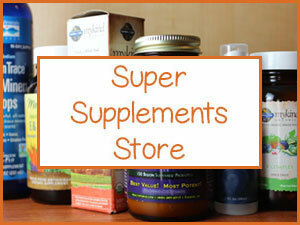 Our goal on this website is to offer ways through "diet" that may help to lessen the impacts of the aging process. Aging, so far in human evolution, is still a part of life. But, it doesn't have to be a debilitating and disease forming journey. What if we could be clear, physically fit and creatively active up until we make our transition into non-physical? 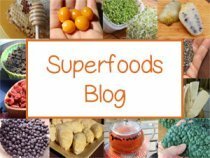 The content and superfood information on this website are designed to help you live a long and happy life!